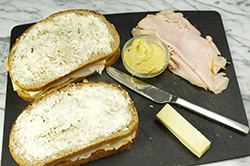 The name “croque monsieur” is based on the French verb croquer, which means “to crunch.” While a traditional croque monsieur is blanketed with a rich, cheesy Mornay sauce, with my grilled version of this classic sandwich you get to bite through a tangy Parmesan crust, a nod to its crunchy origins. 1. 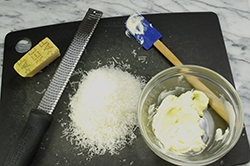 In a small bowl, mix the butter and Parmesan cheese until they are well combined. 2. 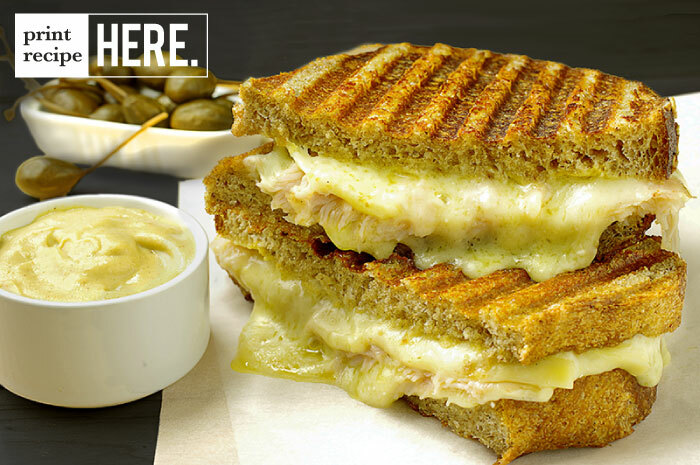 Heat the panini press to medium-high heat. 3. 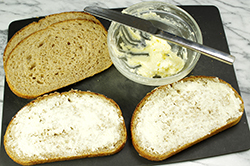 For each sandwich: Spread Parmesan butter on two slices of bread. 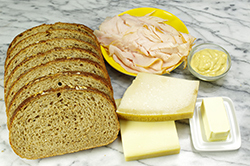 Flip over both slices and spread Dijon mustard on the other side of each. 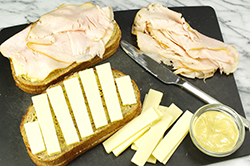 Top one slice with Gruyère cheese, turkey, and more cheese. Close the sandwich with the other slice of bread, buttered side up. 4. 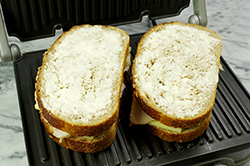 Grill two panini at a time, with the lid closed, until the cheese is melted and the bread is toasted with a crispy crust, 4 to 5 minutes.